There are several different fuel options for cooking onboard a boat which include propane, electric, diesel alongside some other alternative fuels. Your choice will often be determined by the type of features you want your stove to have, how often you intend to cook on your stove as well as convenience, ease of use and availability. Safety will also play an important role in your decision and here is a description of some of the most common types of fuel which are used on boat stoves and the pros and cons of each. This is probably the most common fuel used on a boat and, if you’re buying a used boat or hiring one, you’ll find more boats which are fitted out with a propane stove than any other type. The main advantages are that it’s relatively inexpensive, clean and easily available. It’s also good for cooking in extreme conditions as well as the flame being easy to regulate. The tanks can also be taken off the boat and refilled which means that you need to be very careful when reinstalling the tank. Regular maintenance is also necessary and because propane is heavier than air, extreme care needs to be taken as escaping fumes from a faulty or poorly connected appliance can settle in areas low down in the boat which can present a risk of explosion in the cabin or bilge. Not only is diesel a lot safer than some other fuels, it’s a very hot burning fuel so will also heat up the cabin quickly. You’re more likely to find diesel stoves on commercial fishing vessels and the downside of diesel is that you’ll need to have an exhaust chimney fitted as it can be extremely sooty and smelly. They can also be temperamental when it comes to lighting them. 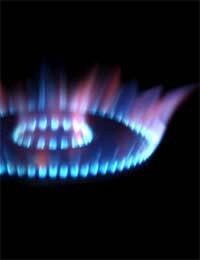 Electric stoves are more common on larger boats that run generators. On the plus side, they are safe and don’t give off any unpleasant odours and there’s obviously no fuel to handle. However, they can pose a heavy drain on a boat’s batteries and can often require an additional auxiliary power source which can create noise. Alcohol boat stoves are non-pressurised which means that they can be extinguished with water but they can be a bit smelly when burning and because the flame is invisible, you need to be very careful when you’re cooking. These are safer than propane but the tanks are not as readily available. In addition, the tanks are much heavier to transport which might be a problem to some people. Another issue can be that you can use up to four times the amount of fuel to gain the same amount of heat as you would need with propane. These types of stoves are inexpensive, safe and are very hot burning but they can often require a great deal of storage space, can be difficult to regulate and require an exhaust chimney. Paraffin stoves (or kerosene – as some people refer to them by) produce a hot flame and are relatively cheap to buy and installation is less expensive than some other types of stove. However, they are too smelly and dirty to cook on for a lot of boaters and produce a lot of soot as well often being difficult to light. Ultimately, you’ll have your own preference and will opt to choose a stove that will fit into the available space and which will cater to your needs most effectively as well as you choosing a type which will feel comfortable to cook on in terms of its safety.